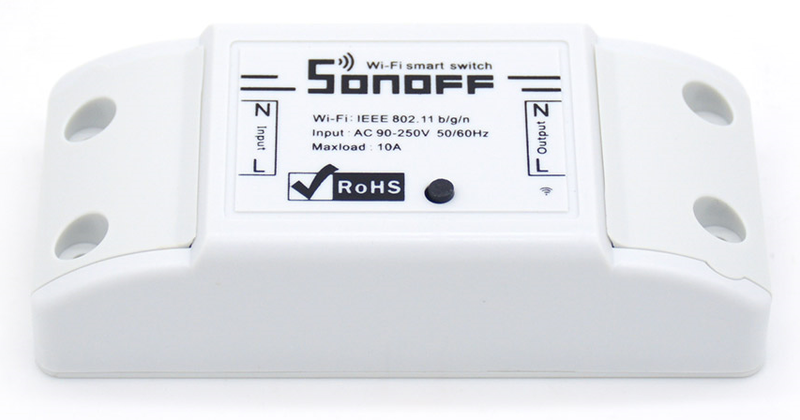 Sonoff wifi switches work quite well with the default firmware. However if you want to do more than the basic operations or integrate with your home automation system then you need to flash it with your custom firmware. The Sonoff Basic comes with a ESP8266 chip with power supply, relay switch, a push button and an LED in a nice small case. We are going to write a custom firmware on the ESP8266 chip. A computer with Arduino IDE (I used version 1.8.5 on Mac OS). Basic knowledge of electronics and some soldering skills. 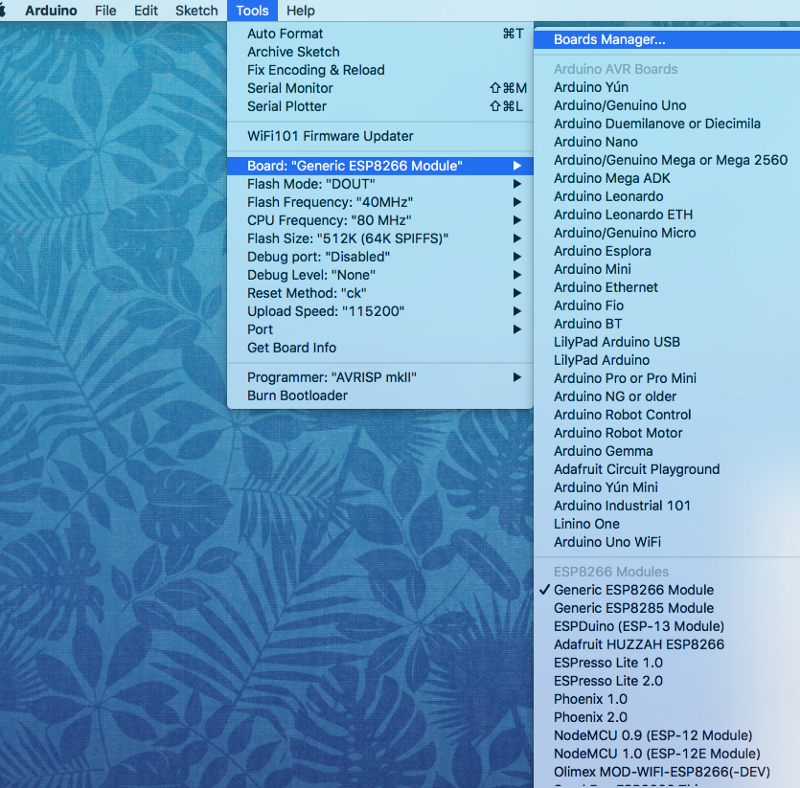 Open Arduino IDE and go to Preferences. 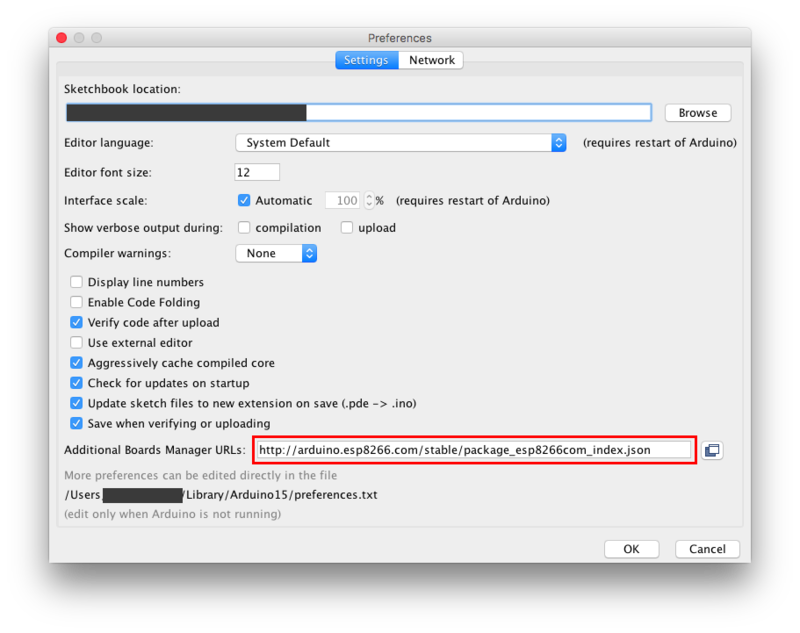 Under Additional Boards Manager URLs field, enter http://arduino.esp8266.com/stable/package_esp8266com_index.json (separate multiple URLs by comma). Open Tools > Board > Boards Manager. Search for ESP8266 and install. This is a Sonoff Basic switch. When you open it up, you can find a board with the ESP8266 chip, relay, LED, push button and other components. Identify the 5 pin holes next to the push button. Insert pin headers and solder it. The Sonoff board is ready for flashing. 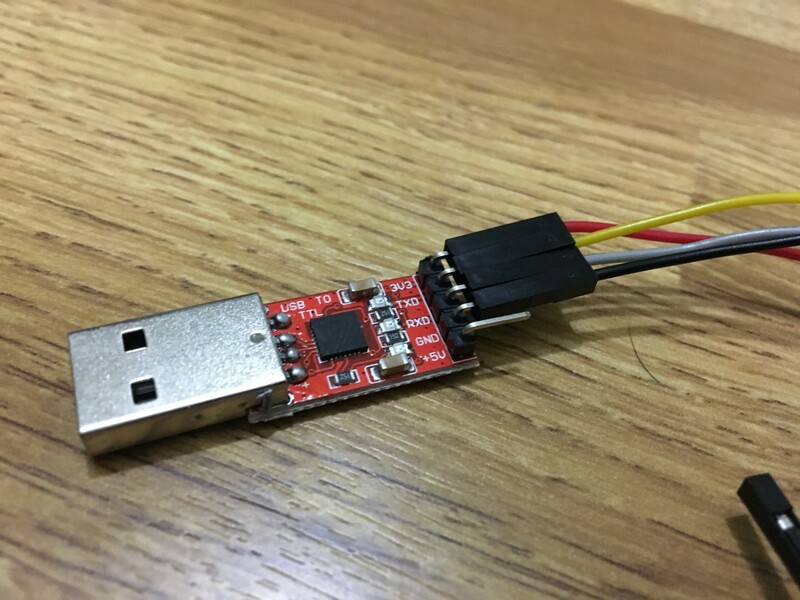 To connect the ESP8266 (on the Sonoff board) to your computer, you need a 3.3V FTDI USB-to-Serial converter. Note: You need to install drivers for the FTDI converter (refer your vendor website). Attach wires to the FTDI converter pins 3.3V, Tx, Rx and Gnd. 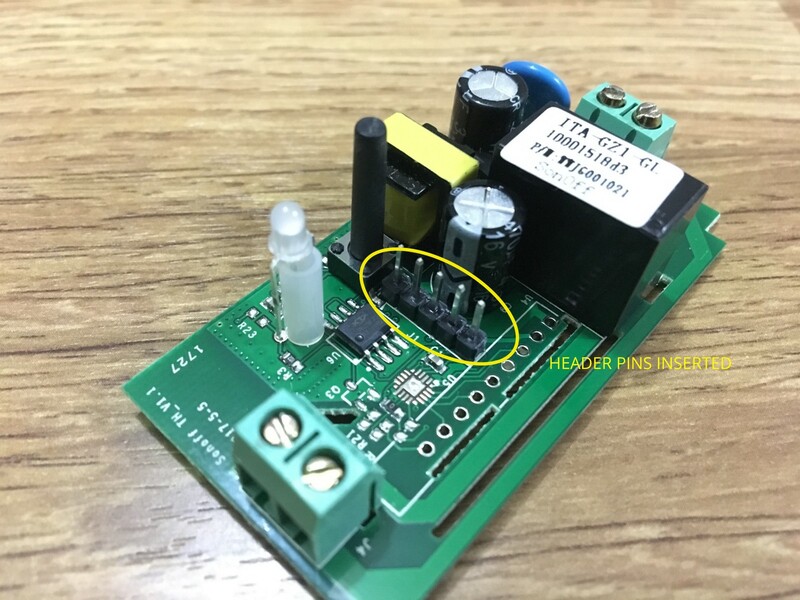 Note: Some converters have a single Vcc pin with jumper to switch between 5V and 3.3V. Make sure you have it set to 3.3V. Now that the hardware and software is ready. We can try uploading a cutom firmware to the Sonoff switch. To do this, we need to boot the ESP8266 in flash mode. Do not plug into the USB on your computer. Do not connect the Sonoff to mains power. Press and hold the push button on the Sonoff board. Insert the FTDI converter USB in your computer (while holding the push button). After 2–3 seconds, release the push button. Now it’s in flash mode. 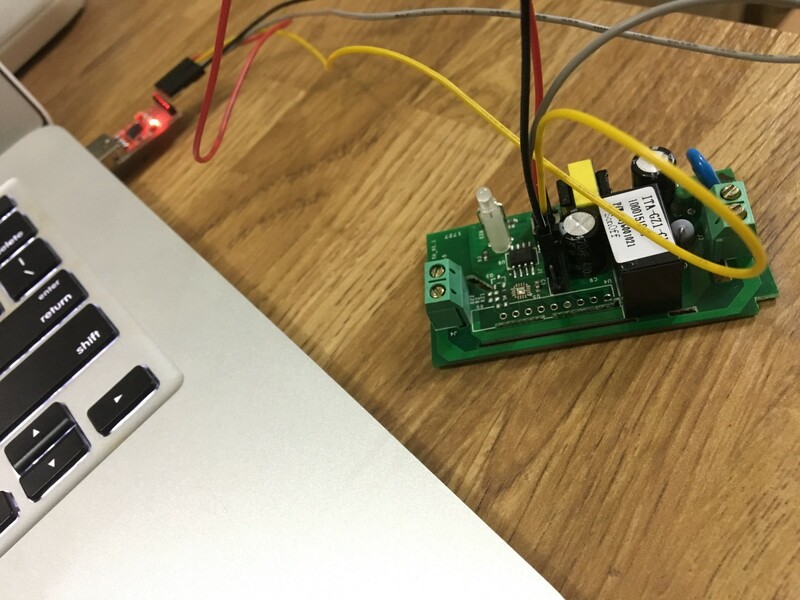 Start by testing a simple program to blink the LED. The built-in LED in the Sonoff switch is connected to the GPIO-13 pin with active low (the LED will be ON when the pin is LOW). Click on Verify / Compile. Now that we got the basic example working, we can connect to wifi and run a simple web server to listen to /on and /off commands and control the relay. I spent a lot of time debugging the software and configuration but later found out the issue was with a dry soldering joint on one of the pins. Fixing the soldering fixed the issue for me. 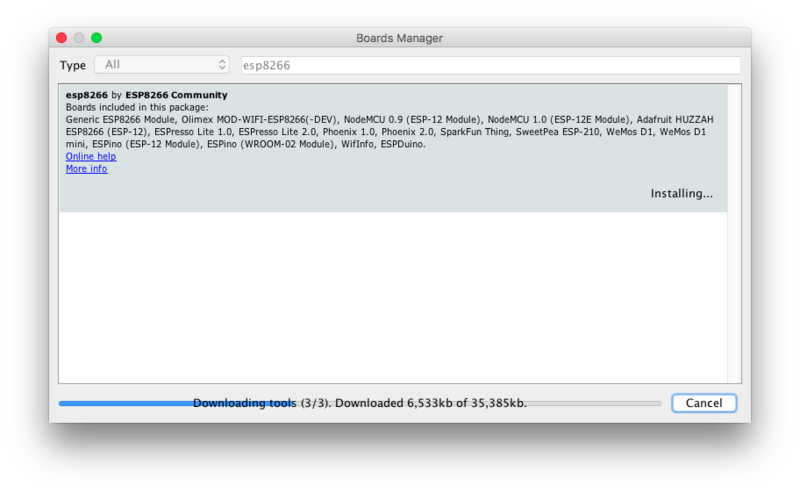 This is a known issue with ESP8266 core for Arduino as of version 2.3.0. Use the following code for workaround.